The White House is under attack, and you’re trapped inside. The President was escorted to a safe bunker, and secret service agents are neutralized. The rebels have launched a series of missiles that can only be disarmed inside the Oval Office. And only you can disarm them. Time starts now. This is an escape game: an immersive game in which teammates have 60 minutes to solve puzzles and crack codes in order to escape a room and, in this case, save the world. What used to be an online brainteaser first came to life in Japan in 2007. Since then, the real-life escape game has spread to cities across Japan, China, the United States, and more with over a million participants. Each themed room features props and decorations that transport players into an alternate reality. The “Crisis at 1600” room, for example, is furnished with real-life replicas you would find in the Oval Office, such as the White House seal or the Resolute desk, to amplify the guest experience. 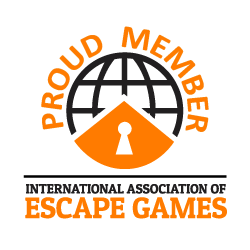 Escape games reel in puzzle lovers, riddle enthusiasts, adrenaline junkies, and more. But the rooms are a one-of-a-kind experience for any age group and audience, whether they’re looking for a corporate team-building activity or just a fun family outing. America’s Escape Game – NOW OPEN ON INTERNATIONAL DRIVE IN ORLANDO,... America’s Escape Game – Created By And Featuring The Best In The U.S.